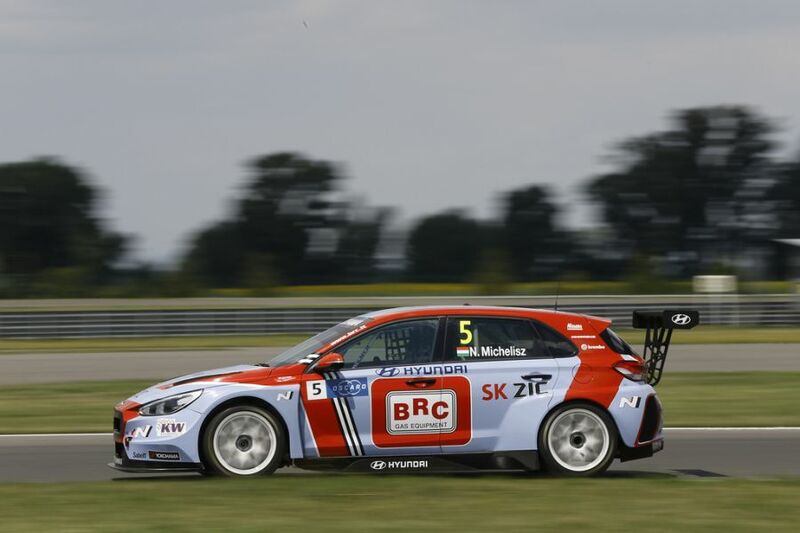 Pepe Oriola (Campos Racing), Gabriele Tarquini and Norbert Michelisz (both BRC Racing Team) are the race winners in three races of the WTCR – FIA World Touring Car Cup meeting at Slovakia Ring, in the sixth round of the 2018 season. For Tarquini, is was his fourth win in 2018 while Orila and Michelisz scored their maiden WTCR wins, increasing a number of drivers with victories to eleven in 18 races. Tarquini is a new championship leader although results are not official yet due to appealing process after the incident-packed Race 3. In Race 1, Pepe Oriola claimed his first WTCR win in the #74 CupraLeon TCR, also the first victory in the series for Cupra. He benefited from a poor start of pole-sitter Gabriele Tarquini and took the lead on Lap 2 from Auelien Comte in a Peugeot 308 TCR. Jean-Karl Vernay and Gabriele Tarquini also overtook Comte later in the race. The Safety car intervention interrupted the race on Lap 5 after Fréderic Vervisch’s Audi stopped next to the track. After the restart, Oriola stayed in the lead and won by 1.734 seconds in front of Vernay. Gabriele Tarquini completed a podium. Aurelien Comte finished fifth, ahead of Fabrizio Giovanardi in an Alfa Romeo Giulietta who gave the first points to Team Mulsanne. The championship leader Yvan Muller was 12th, after starting from the back of the field due to post-qualifying penalty. In Race 2, Gabriele Tarquini secured his fourth victory of the season. He took the early lead from reverse-grid pole-sitter Norbert Nagy in Zengo Motorsport’s Cupra Leon TCR. The 23-year-old Hungarian kept Yvan Muller behind his back for entire race to finish on the second step of the podium, next to two touring car veterans and his idols from youth. Pepe Oriola continued his strong weekend finishing fourth in the second race. His teammate John Filippi was sixth. The two Cupras were split by Boutsen Ginion Racing’s Benjamin Lessennes in a Honda Civic Type R TCR. In Race 3, Norbert Michelist started from pole in the #5 Hyundai i30 N TCR and converted his starting position into his maiden WTCR victory. Aurelien Comte started from P2 and stayed in the same position until the end in the #7 DG Sport Competition Peugeot 308 TCR. Behind their back, an incident happened after Gabriele Tarquini hit Benjamin Lessennes, initiated a massive wreck and plenty of retirements due to damaged cars. When the race resumed on Lap 5, a new drama followed when Yvan Muller’s Hyundai lost the left-front wheel. At the end, Audi Sport Team Comtoyou’s Frederic Vervisch finished third, taking his fourth podium of the season. Thed Björk was fourth, progressing from P18 on the grid. The wildcard entry Petr Fulin also made a fantastic progress from P16 on the grid to the fifth place at the flag.